Adjustment of status (AOS) is the process of changing from a nonimmigrant immigration status (e.g. student, tourist, etc.) 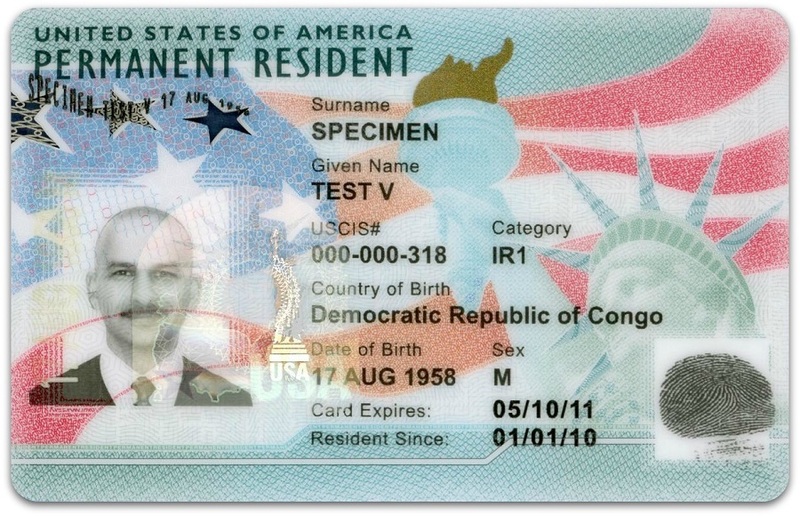 to permanent residence (green card holder). U.S. immigration law allows a temporary visitor to change status to a permanent resident if the individual lawfully entered the United States and meets certain requirements. Adjustment of status is one of two paths for obtaining an immigrant visa (green card) to the United States. If the applicant is not eligible for AOS, he or she must use consular processing. Both consular processing and adjustment of status may be available options if the applicant is already in the U.S. The following describes in general terms the process for obtaining a family-based green card through adjustment of status. In this process, the petitioner is a U.S. citizen or permanent resident, and the beneficiary is the person obtaining a green card. If you’re ready to get started, skip to how CitizenPath can help. A U.S. citizen or lawful permanent resident may petition certain family members to live in the U.S. and receive green card. The entire process begins when the U.S. citizen or lawful permanent resident files Form I-130, Petition for Alien Relative, on behalf of the beneficiary (intending immigrant). 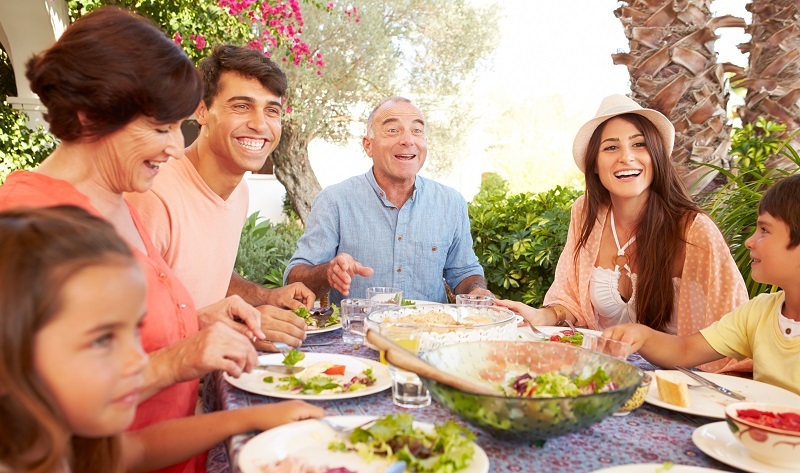 To obtain a green card based on a family relationship, the beneficiary must be in either the immediate relative or family preference categories. The purpose of Form I-130 is to establish an eligible relationship so that the relative may apply for a green card. A similar process is available to U.S. citizens that want to bring a fiancé (as well as the fiancé’s eligible children) to the U.S. for marriage. This process begins with the U.S. citizen filing Form I-129F, Petition for Alien Fiancé(e). This path is not available to the fiancés of lawful permanent residents. You must be inside the United States when the adjustment of status application is filed (and will need to complete the process inside the U.S.). Lawful entry means that you were admitted or paroled into the U.S. For most people, this means that you entered the U.S. with valid documentation and made face to face contact with a U.S. immigration officer, and that officer acknowledged your entry to the United States. If you entered with a valid visa, but that visa has since expired, you still had a lawful entry. Have an approved AND current I-130 petition. Family preference applicants must have an approved Form I-130, Petition for Alien Relative, and a visa number must be available. (For a detailed explanation, see How to Read the Visa Bulletin). However, there’s an exception for immediate relatives of U.S. citizens. Immediate relatives may file the adjustment of status application together with the I-130 petition. It’s also important that the intending immigrant maintain eligibility throughout the AOS process. Changes in circumstances can affect the basis of the I-130 approval, and bars to adjustment must be avoided. Only a very limited group of people can adjust status. That’s why AOS is generally only used by some immediate relatives, spouses that entered as K-1 fiancés, asylees, refugees, or those who arrived on an employment visa (e.g. H-1B) and the employer sponsored them for a green card. A complete adjustment of status packet will also include several supporting documents as required by each USCIS form. For detailed instructions on how to prepare the forms and which supporting documents to include, refer to the USCIS website or utilize CitizenPath to prepare your USCIS forms. Your situation may be different. Refer to our AOS Package Fees page to determine which forms you need and estimated costs. After you file your application, USCIS will mail you an appointment notification for a biometric screening. This is a relatively quick appointment at a USCIS Application Support Center to obtain your photo, fingerprints and signature. USCIS uses the biometric data to conduct a mandatory criminal background check. Several months later, you will most likely be required to attend an interview. In many cases, the relative that filed Form I-130 will also be required to attend. USCIS has the ability to waive an interview for certain individuals. They will notify you of the time, date, and location for an interview. USCIS uses the adjustment of status interview to confirm the information you and your petitioner have provided on the petition and your application for adjustment of status. It’s also an opportunity for them to see if circumstances have changed that may make you ineligible. Generally, this is a quick interview that only lasts 20-30 minutes. The entire adjustment of status process may take 8 to 14 months. For an AOS timeline, read What Happens After Filing Form I-485. After all paperwork has been received, interviews conducted (if necessary), security checks completed, and other eligibility requirements reviewed, your case will be ready for a decision by USCIS. In all cases, you will be notified of the decision in writing. If USCIS grants you permanent residence, they will mail your green card to your address on record. Although the adjustment of status process typically takes longer than consular processing, it has its advantages. The adjustment of status timeline is generally 8 to 14 months for family-based applications (and often longer for other application types). If an AOS case is denied, the applicant may challenge the denial through the administrative and/or judicial appellate processes. 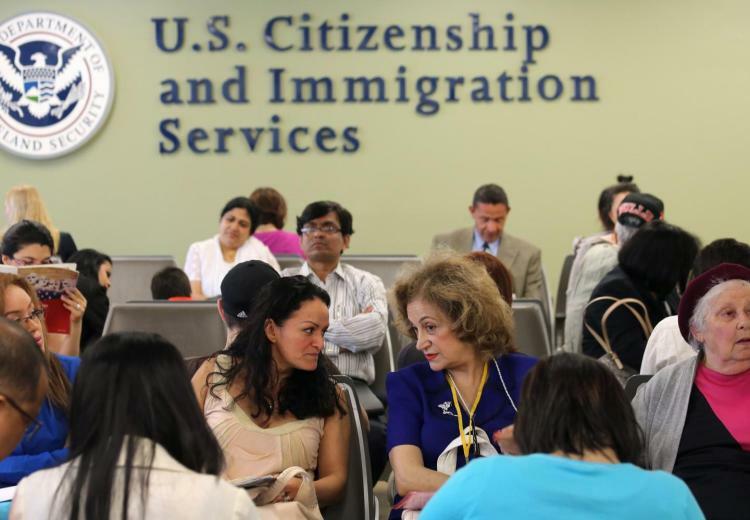 Consular processing decisions for a green card are final. For a more detailed analysis of the advantages and disadvantages of adjusting status, read Adjustment of Status vs Consular Processing. Form I-485, Application to Register Permanent Residence or Adjust Status, is used to apply for a green card while in the United States. Foreign nationals may file the adjustment of status application if they meet certain criteria. Applicants with straight-forward cases (no arrests and immigration violations) can generally file the application without a lawyer. Yet, each year, USCIS rejects or denies thousands of I-485 applications. CitizenPath’s self-help software makes preparing Form I-485 easy, and it helps eliminate the common errors that create delays, rejections and even denials. The low-cost service also provides alerts if you answer a question in a way that might be a problem. For family-based applicants, the I-130 petition in included in the same price. It’s a powerful, do-it-yourself tool that puts you in control. And we’ve got your back — CitizenPath guarantees that your application will be accepted by USCIS. We’re going to ask you a few questions to make sure you’re eligible and preparing the correct form. There’s no obligation to purchase. Our software will guide you through the I-485 application using simple step-by-step instructions. Pay only $197 + USCIS fees. Once you’re completely satisfied, you’ll be able to print your I-485 and customized filing instructions. How do I start adjustment of status? For family preference categories, the intending immigrant will need to monitor the visa bulletin. However, the intending immigrant must also be physically inside the United States through a lawful entry to be eligible to file Form I-485, Application to Adjust Status. How long does adjustment of status take to complete? The time it takes to complete the adjustment of status process is generally longer than consular processing. There are always exceptions. You can anticipate that adjusting status to permanent resident will take about 8 to 14 months from the date an immigrant visa becomes available. How much does adjustment of status cost? The entire adjustment of status process, including an immigrant visa petition, will cost approximately $1,760. For a breakdown of government fees and CitizenPath preparation fees, see our AOS package fees. To see a comparison of costs for adjusting status versus consular processing, visit our detailed comparison in Adjustment of Status vs Consular Processing. Can I apply for consular processing and adjustment of status? Green card applicants may not apply through both consular processing and adjustment of status at the same time. You must choose only one or the other. Remember, only applicants that are physically present in the United States through a lawful entry may apply for a green card through adjustment of status. Applicants outside the United States must use consular processing. Can I work with a pending AOS application? Yes, it’s possible to get employment authorization while you are an adjustment of status applicant. In fact, once your application is accepted, you will be considered an “adjustment of status applicant” or AOS applicant. As an AOS applicant, you are eligible to submit Form I-765, Application for Employment Authorization. If you submit Form I-765 together with your AOS packet, there is no additional filing fee. Working in the United States without employment authorization during the adjustment of status process will make an applicant ineligible for a green card. Can I travel abroad with a pending AOS application? You may obtain permission to travel abroad with a pending adjustment of status application with a document known as advance parole. An AOS applicant that leaves the U.S. without advance parole is automatically considered to have abandoned the application and may not be able to re-enter the U.S.
To request permission to travel outside the United States during the adjustment of status process, the AOS applicant must request advance parole by filing Form I-131, Application for Travel Document. Like employment authorization, there is no filing fee when submitting Form I-131 if it is filed together with the AOS packet. I have an approved I-130. How much longer until I can get a green card? Before someone can apply for a green card (through family), two major conditions must be met. You must have an approved I-130 petition AND a visa must be available to you. If you are in an immediate relative category (spouse, parent or unmarried child under 21 of a U.S. citizen), there is always an immigrant visa available. You may apply for the green card immediately. If you are presently in the United States, you may be eligible for adjustment of status. If not, you may apply through consular processing. If you are in a family preference category, there is a limit on the number of immigrant visas available each year. As a result, there is generally a wait which varies by category and country. To determine when a visa is available to you, it’s necessary to read the visa bulletin. Generally, family preference categories will apply through the consular process. You may also be interested in reading After I-130 is Approved, What’s Next? * Data based on USCIS Forms Data and Lockbox Rejection Data.